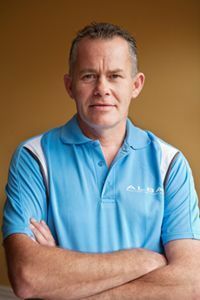 Gordon Smith owns and operates Alba Interiors, with an undeniable reputation for quality building and project management work. Over the last 16 years, Alba has developed the right expertise to guide you through all aspects of the build, fit-out or defit project. His in-house team of builders, cabinetmakers, QS and PMs are there to assist you with your project from start to finish. Alba only works with the best designers, creating great sets of plans and the most reliable quality driven subcontractors to ensure your project runs smoothly and on-time. It doesn’t have to be difficult to get your construction project underway, give Gordon a call today on 0800 525 244 to organise an on-site meeting. From here the Alba Team can discuss all your ideas, budgets and time-frames. Either you supply the plans or Alba can work alongside you with their in-house designers. We can begin quotes and estimations and have a number of finance options we can discuss with you also. Undertaking a commercial project outside of the Auckland area? Alba has some great contacts in the industry we can pass on or be involved in managing your project regardless of location, don’t hesitate to contact us today. Alba Interiors have a comprehensive Health & Safety Policy which is backed by extensive training and being members of both Hazardco and Site Safe Organisations. All subcontractors are inducted onto sites and made aware of specific hazards, tool-box meetings are held weekly on jobs and random safety checks are completed by the jobs Project Manager or Gordon himself. Alba Interiors prides itself on being reliable, respectful, tidy and keeping all our team, subbies and clients safe on the work-site.